FedEx Home Delivery Routes for sale $325,000! Currently grossing an estimated $745,550 and nets $82,387 as an absentee owner of the business! Includes 9 Home Delivery Routes and 2 overflow routes. Full time manager in place. Buyer has the option to include 5 vehicles in the purchase if desired, but would assume debt and debt services payments. Please inquire about the terms of the debt service if interested. 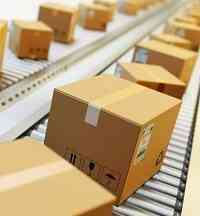 Territory is purchased through independent distributor and contracted through FedEx. Territory for this route is located in the Nashville, Tennessee region. FedEx ISP requirements are being introduced to this area within the next year and this route will meet these future ISP requirements. Please be advised that the owner will not entertain seller financing, SBA loans, or third party lending. If seeking financing, buyer must be able to borrow against personal assets. Growing business backed by a publicly traded company on the NYSE! Currently this route grosses $745,550 per year. Income documentation will be provided to all serious buyers. Expenses include, but are not limited to: fuel, repairs, payroll, workers compensation, scanners, uniforms, and insurance. The current owners estimate $663,163 per year in expenses/overhead. The current owner operates the business with 5 vehicles that include 4 2013 Freightliner P1000, and one 2000 Freightliner P700. Seller plans to repurpose the above trucks to another operation. Trucks may be included if desired, but the buyer will assume debt and debt service payments. Please inquire about the terms of the debt service if interested. Estimated value of all vehicles is $221,500. When considering a vehicle lease or purchase for FedEx Routes, Routes For Sale recommends Bush Trucks. The gross income for the route is $745,550 per year, minus $663,163 estimated yearly expenses as mentioned above gives you the net of $82,387 per year! 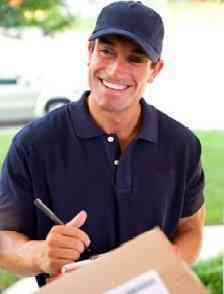 FedEx owners determine the selling price of their route by using a 3 multiple of their yearly cash flow/net income. Routes that are turnkey with a full time manager in place sell for up to a 4+ multiple. Owner is consolidating FedEx operations. The current seller has owned the business for 1 year. Routes have been established for years prior. Routes average 5100 stops per week combined. Employees work 5 days a week Tuesday through Saturday with Sunday, Monday off. Hours of operation are between 7am – 5pm. As an independent operator/business owner you are responsible for the route being serviced. In addition there are independent drivers who have FedEx experience that can cover for driver time needed off. This FedEx Business consist of all Home Delivery Routes which require NO back tracking to pick up packages at the end of the day. Established & Turnkey! Start making income the week you take it over. Includes 9 Full Time Routes, 2 overflow routes, and a full time manager in place. This route will be ISP compliant when this is introduced to the area within the next year. Priced to sell at $325,000! Contact Us About This Route Here!